For the nature lover, nothing is more beautiful and rewarding than having a garden brimming with flowers and birds! If you hang feeders outside your home but aren't visited by as many feathered friends as you'd hoped, you'd be surprised to know just how many more wild birds you could attract to your yard by following a few easy guidelines. 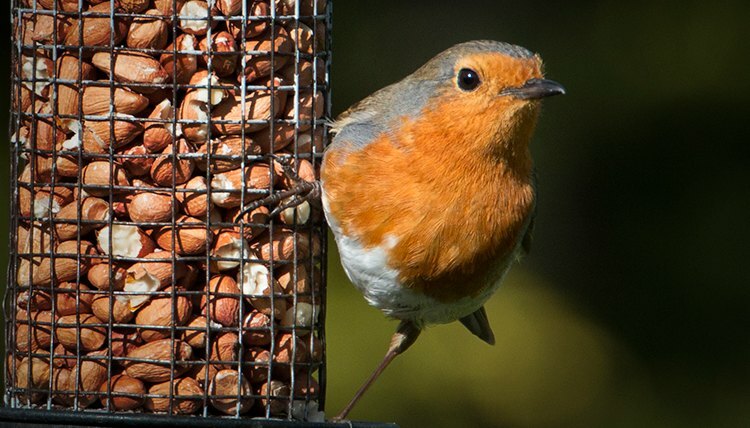 Bird feeders and food should be placed around your yard in abundance. Placing different feeding stations to suit each bird's taste would be a good idea. For instance, ground feeding birds would love a feeding station such as a platform feeder while hanging feeders are best for perching birds and Insect feeding birds prefer suet feeders. The basic seed mix to attract birds is fine for starters but a more specialized mix is better for attracting a wider range of bird species. • Seed - The best seed for attracting songbirds to your yard, of course, are the black oil sunflower seeds. But there are other birds that just aren't fond of sunflower seeds. Try using safflower, millet and nyger (a little black seed somewhat like sunflower seed that birds find irresistible) to coax a different group of birds to your yard. Safflower will attract jays, cardinals, chickadees, House Finches, doves, Red-bellied Woodpeckers, titmice and White-breasted Nuthatches, while chickadees and finches fancy nyger. Millet, both red and white, appeal to many ground feeders but white millet is preferred for doves, juncos, and sparrows. Unfortunately, millet attracts undesirables such as the non-native European Starlings and House Sparrows as well. • Fruit, Nuts & Kitchen Scraps - Peanut butter and nuts attract magpies, jays and titmice. Orioles love many fruits but a fruit variety attracts all types of birds that are curious for a sampling of your buffet. Leftover bread, pasta, rice, etc will draw a wide range of birds but beware, this type of food also will bring in the rodents and raccoons! Birds are more secure if they have a warm place to stay while dining, away from predators and enemies. Shelters can be offered in different forms, like trees and large shrubs. Nesting materials and nesting boxes suited to birds you want to attract is a nice springtime addition to your backyard setup. Birds are always looking for welcome places to raise their young. The sound of moving water (fountains & ponds, etc.) will definitely attract birds but stationary water areas like the birdbath always attracted them to our yard also. All birds love the coolness of water for a bath or to quench their thirst. Consider using a dripper, a mister or a pump to add sound that will bring in the birds. Attracting birds to your backyard can be a creation process for you. Native trees could be planted for perching and cover and shade like hawthorn and ash. Ornamental trees like crab apple and cherry can be planted for a good source and a hedgerow allows birds to feed and nest in private. And not all of your garden or backyard needs to be trimmed prim and proper in order to attract wild birds. Leaving some areas wild will allow cover and shade, as well as a host of insects for feeding birds. Dead headed plants can also be retained for feed through the autumn and winter months. I hope these few tips will aid you in getting the best out of your backyard garden and your native bird numbers will increase in size and song!